Bed And Breakfast484 sq. ft.
Red House 25 is a private accommodation suite at the Red House, Christchurch. Red House 25 is a private accommodation suite at the Red House on Armagh St, Central Christchurch. It is a short distance from the Christchurch Art Gallery, Art Centre, Hagley Park, Christchurch Museum, Convention Centre, and Town Hall. This is one of the best locations for exploring Christchurch. The Red House is a Category one Heritage listed building, that has been fully restored after the 2011 Christchurch earthquake. 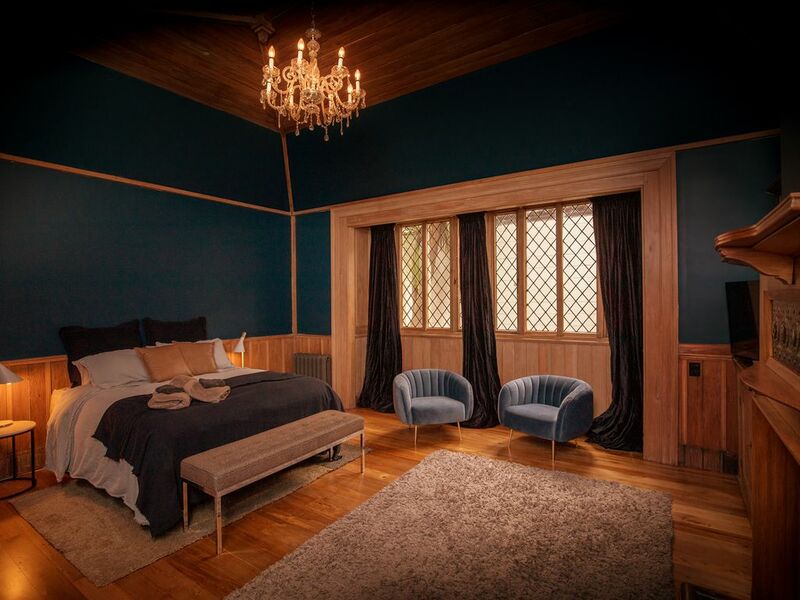 The suite is a separate wing to the main house and features a private entry, kitchenette, ensuite, large sized room with king sized bed, and seating area. We had such a wonderful stay at the Red House in Christchurch. Jo and Johannes were terrific hosts - very friendly and gave great advice. The house is absolutely amazing, really beautifully styled and well appointed - we did not want for anything. We could not recommend this highly enough. Excellent property only sorry that we cannot stay another day.Very nice to catch up with one of our hosts ,we don’t often get to chat with them,thank you both for making time for us.Everything and more was there for us,lots of little touches that make such a difference on our long trip.Thank you both very much for having us.We will be back you are definitely on our list to stay.Mary. Superb old property being carefully brought back to life.So nice to meet the owners,we very rarely meet our hosts,so nice to do so. Stylish and imaginative renovation of a 19th century, earthquake-damaged house close to town. Fabulous shower, comfortable bed, great hosts. Terrific value for anyone who wants to be within walking distance of Botanical Gardens, Arts Centre and all the new entertainments of the rebuilt city which is now beginning to have a genuine organic feel. The Location is one of the best in Christchurch for exploring the inner central city.